The Family Church of McAllen, Texas (TFC) chose a Robe lighting system for its new 1400 capacity main worship auditorium. The Robe fixtures were specified by TFC’s technical director Obed Castillo and supplied by Phil Rapp of Gear Systems Design from Edmond, Oklahoma, who partnered with TFC to supply and install the full technical production package for the new space. The new larger sanctuary was the result of a much needed expansion to the existing premises to accommodate the popular and well-attended worship services. TFC launched in 1948 as the Church of the Good Shepherd. In 1995 Pastors John and Terry Brady joined the ministry, and the congregation has grown steadily ever since, causing the church to outgrow its previous sanctuary. Their dynamic style of worship is now led by Worship Pastors Nathan and Star Funk, and the Church enjoys phenomenal Youth and Children’s Ministries, in short it has truly become a ‘Family’ Church experience. The stage systems for the new auditorium were designed for concerts and broadcasts in addition to the five weekly services. 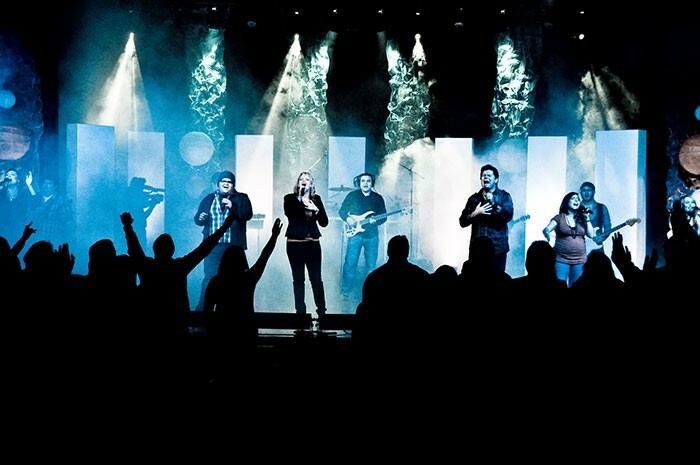 Currently TFC has a web-based ministry, but future plans include going to a multi-site format, so good broadcast lighting was vital to the final technical plans. Gear Systems specified four ROBIN 600 LEDWashes, eight ROBIN 300 LEDWashes, four ROBIN 300E Spots, eight ColorSpot 250E ATs and ten LEDForce 18s plus a Robe Faze 1050FT hazer. Most of the lights are installed on trussing above and around the stage, and some are floor mounted on the stage. With the flexible design of the rig, any light can be moved to any position allowing endless possibilities for looks and effects. The auditorium has limited available power, so it was important to choose fixtures with low power consumption, hence the selection of the LED fixtures and Robe’s small 250 series moving lights. Practical on-going operational costs were another consideration, coupled with the fact that McAllen’s location on the southern tip of Texas in the Rio Grande Valley means that high temperatures are a factor, so fixtures outputting little heat will help with the utility bills. "The lighting is crucial to every aspect in the auditorium and all its uses," explains Rapp. "The variety of the Robe fixtures has given the flexibility needed to accommodate the contemporary style of worship together with any broadcast lighting requirements". He adds that "reliability is crucial for a system of this size that is in such regular use, so given their track record Robe was an obvious choice." The bright & bold colours from the LEDWashes enable the lighting and set designers to paint with colour in various directions from the front truss, and these colours really pop on video. The strength of the ROBIN 300E Spots allow for crisp patterns and beams that help define images on video. 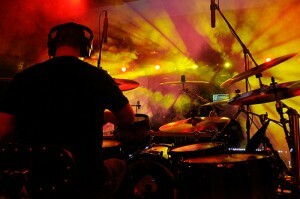 These fixtures can ‘reach out’ around the entire room and envelop the audience, drawing them into the worship sessions. The LEDWash 300s and ColorSpot 250E ATs perform a masterful job of adding endless energy to the stage. The LEDForce 18s can be used as a truly multi-purpose fixture to colour anything on the set or add more static beams when used with the optional 10 degree lenses. The TFC’s elaborate scenic elements and props are designed by the TFC Creative team, and the lighting really helps in highlighting and emphasising these. Above all, the rig was designed for complete versatility – any fixture can be repositioned anywhere above or on the stage or on the deck to give an almost infinite variety of looks and effects. The lighting is primarily operated by TFC’s volunteer technical team using a Jands Vista S3 console … and everyone is delighted with the results.